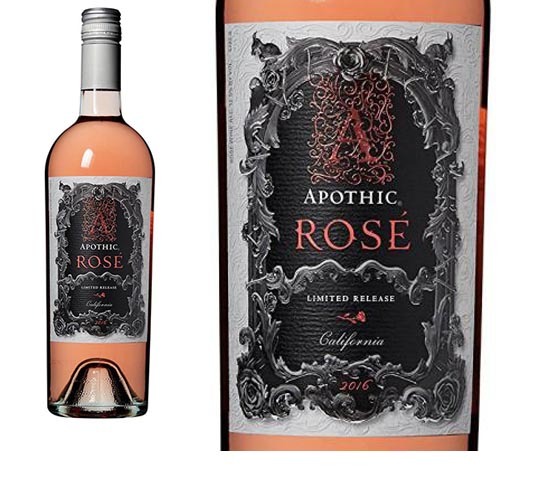 If you’re looking for something boring and pretentious this summer, then Apothic Rosé is not for you, the 30-something pitchman says as he strolls past dull-looking young men and women dressed in tennis garb at a ponderous garden party. They populate an ad that runs on the winemaker’s website. Our narrator is an attractive guy with a close-cropped beard, wearing a dark vest and a gray dress shirt with the sleeves rolled up to show off his prodigious black tats. If you want something crisp and refreshing, and anything but ordinary, then Apothic Rosé is for you, he says, pouring glasses for people at a more festive affair. It’s light in color, he adds, but dark in nature, whatever that means. I found the ad over-the-top and the website infuriating if you’re actually looking for information about the wine. But I’m clearly not part of the demographic the marketing guys at E.&J. Gallo, the company that owns the Apothic line, is trying to reach. That’s OK, and I can see why winemakers want to reach the generation of carefully tended facial hair and tattoos. If wine sales are going to keep increasing, then wine producers will have to wean the 30-somethings off of beer and start easing them into a long romance with wine. But that doesn’t mean that Apothic Rosé is not for me or others who are well out of their 30s and who haven’t had a Pabst Blue Ribbon since long before the winemakers’ target group was born. I like Apothic Rosé. It’s crisp, dry and filled with flavors of strawberry, watermelon and raspberry, descriptors that I did manage to find on the website. It’s smart to pitch dry rosé to young consumers. It’s a pleasant wine that for the last couple of years has been the fastest growing segment of the wine industry, with double-digit growth. Three or four years ago, there were no more than a half-dozen rosés at most New England wine stores and none in the supermarkets. Now there are probably 50 to 100 on the shelves at some places. Winemaker Debbie Juergenson is doing something interesting with all of the Apothic wines. She’s blending them. There are no varietal wines under the Apothic label, something else to appeal to the wine newbies, to whom varietals can seem a bit snobby. There’s even a red blend, called Apothic Brew, with a touch of cold-brewed coffee in it. The company also does annual limited release wines, such as Apothic Inferno, a blend of six kinds of red grapes that’s aged in whiskey barrels. The Apothic name is inspired by the word Apotheca, “a mysterious place where wine was blended and stored in 13th century Europe,” the website says. Apotheca is a Latin word, derived from ancient Greek, that means “repository or warehouse.” According to Google, there’s a very nice looking flower and gift shop in Goffstown, N.H., called Apotheca. Juergenson, who has been with Gallo since 1995, grew up in California’s Central Coast surrounded by vineyards, her company bio says. She got a degree in geology prior to joining Gallo, and then worked her way through the winemaking ranks, starting as an analytical technician to learn the chemistry of wine. Juergenson spent four years studying how wine reacts with oak barrels, and became part of the winemaking team, working with blending. The rosé, as best I could determine, is a blend of Tempranillo, Grenache and other varieties grown on the Central Coast. The fruit is harvested at night to keep the grapes cool and then cold fermented to maintain the balance of acid and fruit flavors. Juergenson wove her magic with the Apothic Rosé. It’s a complex, fruit-forward wine that cuts through the haze of a humid summer evening with dry, crisp flavors. My wife, Sandy, and I had it with grilled, lemon-herb chicken and sugar snaps sautéed with butter and tarragon. It was a fine addition to the flavorful meal. Apothic Rosé is widely available throughout New England this summer. Like the Apothic Inferno, it’s a seasonal offering, so when it’s gone that’s it for this year. I bought it from a well-stocked shelf, however. I found it for $10, but it wouldn’t surprise me to see it on sale for a dollar or two less. Check it out. Contrary to the company’s marketing plan, I think it’s a wine for all ages. Well, all legal ones, anyway.